This book examines the causes of Taiwan's environmental predicament, engaging in Taiwan's unique geological, geographical, demographical, political, industrial, historical and economic circumstances. 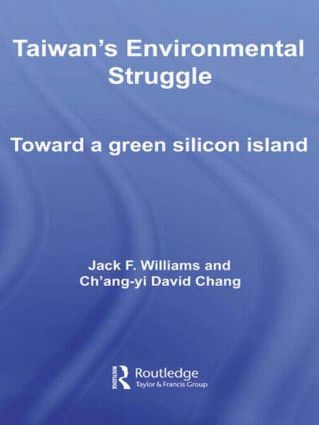 In addition, Jack Williams and Ch'ang-yi David Chang assess the efforts of the government, NGOs and private citizens to create a "green" environmentally sustainable island, with a high tech economy based on the silicon chip, the backbone of Taiwan’s highly successful IT industry. Finally the authors discuss what can be done to improve Taiwan's environmental future. As the first commercially available book in English on Taiwan’s environmental problems this is an invaluable read for students and scholars interested in environmental studies, sustainable development and the island of Taiwan.